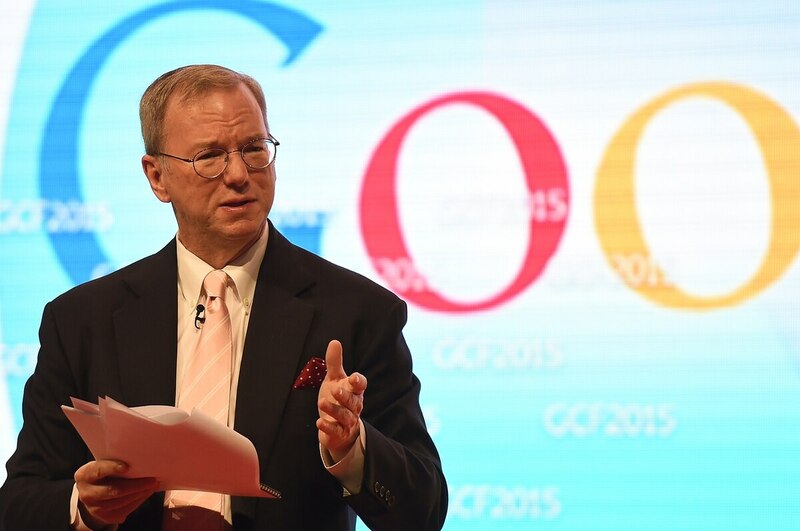 SAN FRANCISCO — Eric Schmidt, executive chairman of Google parent company Alphabet, will head up a new Pentagon advisory board aimed at providing Secretary of Defense Ash Carter direct advice on new technology, the Pentagon announced Wednesday. The Defense Innovation Advisory Board will "provide advice on the best and latest practices in innovation that the department can emulate," according to a Pentagon release. More specifically, the board will serve as a direct conduit for the types of innovative voices outside the Pentagon to reach Carter. Since coming into the Pentagon, Carter has emphasized the need for the DoD to hear ideas from the commercial technology sector, and in particular the Silicon Valley network with which Schmidt is synonymous. The board will have up to 12 members, but a senior defense official said the makeup of the board is still being worked out and the Pentagon did not have any other names to announce at this time. The official would not rule out the possibility of traditional defense industry taking part of the board, saying there would be a "broad range of voices." However, Schmidt's presence indicates a focus on bringing in new voices that would not be represented by more traditional groups such as the Defense Business Board. "Obviously Eric Schmidt, one of the reasons he's an ideal choice for this, given his business experience, given his own contacts within the innovation world, we think he's got a long list of people who might be a good fit," the official said. Other details, such as how the group will communicate their ideas to Carter and other top Pentagon officials, are still being finalized. However, some form of regular interaction appears likely. There is no specific deadline for the board to be finalized. Speaking to reporters Wednesday, Schmidt said he has a number of names on a list but has yet to contact those individuals. He did say he is looking at "people who are highly technical and who can anticipate the changes in technology that will effect the mission of security, the mission of the Defense Department, and the mission as a whole." Meanwhile, Carter defended the concept of setting up yet another board for advisory purposes. "We do have other boards that serve other functions. We don't have one dedicated to innovation. And since innovation is critical to the department's future, this is a gap that needed to be filled, in my judgement," he said. "I guess you could have said we needed to do it a while ago." "We have boards which do other things, which are also extremely important and have their own distinguished members who have other skill sets and talents," Carter added. "Here we're looking for the brightest technical minds focused on innovation." The board will not give any strategic advice to Carter, but instead will remain focused on sharing information about areas such as rapid prototyping, iterative product development, complex data analysis and the use of cloud applications. "They will not be discussing military strategy. This is about innovation, things going on in the tech world, that these people will have familiarity with that they can bring and share with the Department of Defense," the official said. "That's not just hardware or that kind of innovation but even problem-solving tools, best practices in terms of business practices which could be helpful for the department." Carter is meeting with Schmidt Wednesday to discuss this and other issues. Defense News is traveling with Carter during a West Coast swing, where he is meeting with leaders from the tech sector to discuss how to bring innovation into the Pentagon.